The uniquely human awareness of death causes potentially debilitating terror that we “manage” by embracing cultural worldviews that give us a sense that we are valuable persons in a meaningful universe, and thus eligible for literal or symbolic immortality. The quest for immortality underlies some of humankind’s most noble achievements. However, it also engenders some of our most ignominious affectations, including: distain for people with different beliefs; unwavering support for charismatic leaders; contempt for the environment; insatiable pursuit of money and stuff; and reckless disregard for our physical well-being. Research demonstrates that death anxiety affects almost every domain of our lives. Understanding the role of death in life by helping professionals will improve assessment and treatment both individually and systemically, ultimately promoting physical, emotional, and societal wellbeing. This course will include psychological, philosophical and anthropological insights, illustrated with historical and contemporary examples and verified by research. It will be of interest to anyone who applies behavioral science to professional practice, including therapists, lawyers, clergy, business leaders, and teachers. Back of everything is the great specter of universal death. . . . We need a life not correlated with death . . . a kind of good that will not perish…And so with most of us…a little irritable weakness will bring the worm at the core of all our usual springs of delight into full view, and turn us into melancholy metaphysicians. History is a nightmare from which I am trying to awaken. Come to terms with death; thereafter, anything is possible. 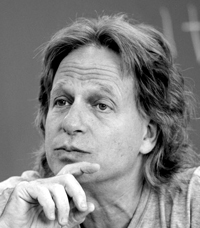 Sheldon Solomon, PhD, is Professor of Psychology at Skidmore College. He is co-author of In the Wake of 9/11: The Psychology of Terror and The Worm at the Core: On the Role of Death in Life, and is featured in the documentary film Flight from Death: The Quest for Immortality. Sheldon is a recipient of an American Psychological Association Presidential Citation, and a Lifetime Career Award by the International Society for Self and Identity. We are delighted to welcome Sheldon Solomon in his first appearance at the Institute!